The type of risk-based evaluation and level of detail should be dependent on the complexity of the risk and the needs of the decision maker. Table 5-13.1 lists three general levels of decisions to help decision makers choose an appropriate basis for their decisions. Based on the decision class, risk management goals, and risk-informed project objectives, the most efficient risk assessment and risk communication methods should be applied. The results must provide the information needed to make informed fire protection decisions based on risk tolerance and cost-effectiveness. 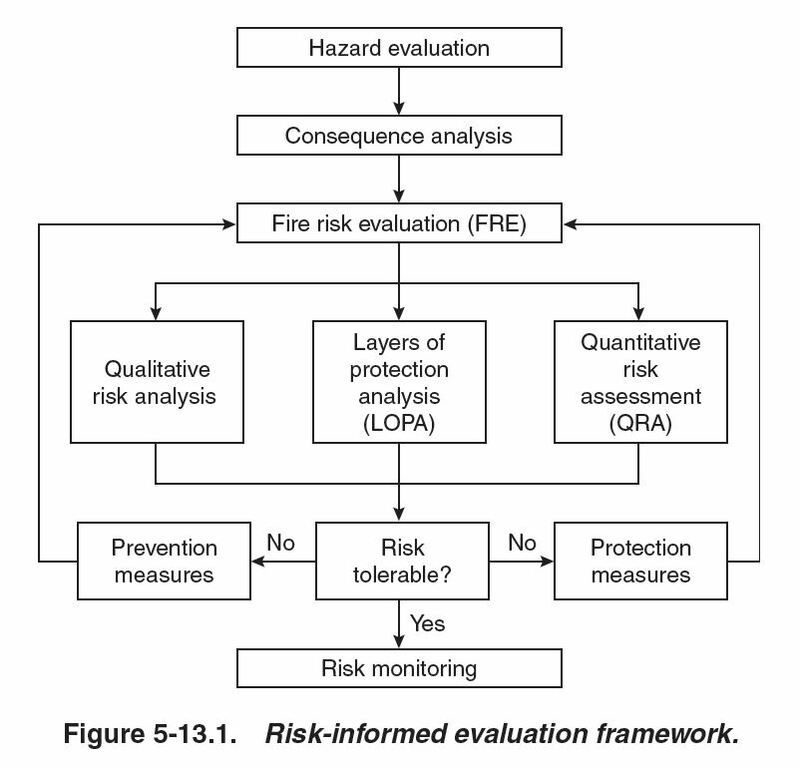 The purpose of this chapter is to provide an overview of fire risk-informed evaluation methods. References are included to allow the reader to pursue further detail. 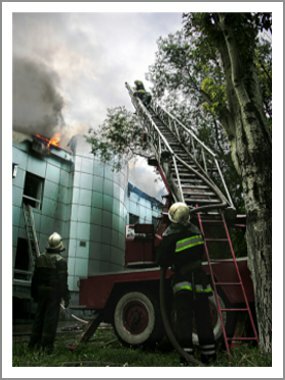 Emphasis is given to the fire risk evaluation method called fire protection system–layer of protection analysis (FPS-LOPA), which is becoming a popular approach for evaluating industrial process fire and explosion risks. An example FPS-LOPA is included in the chapter. 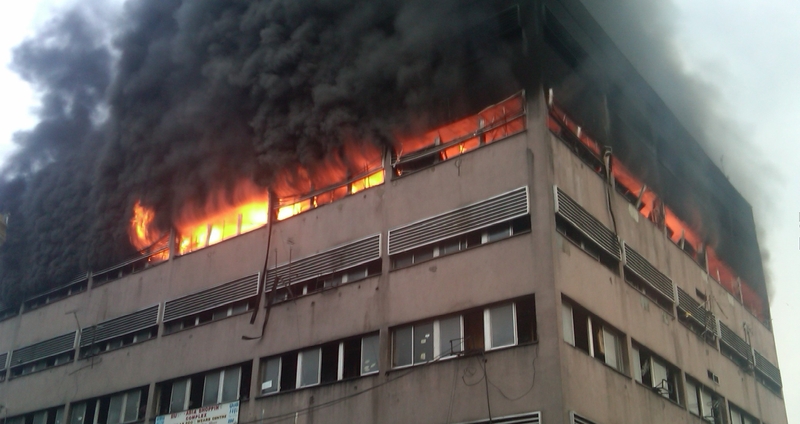 All fire risk-informed methods start with hazard evaluation and consequence analysis. Risk-informed approaches supplement these evaluations but do not replace them.